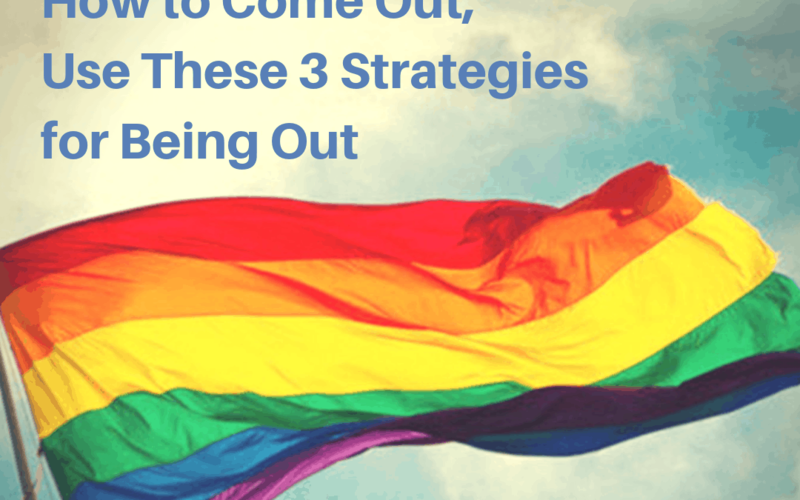 How to come out involves informing the people in your life that you do not identify as heterosexual. The assumption for most people is that everyone is heterosexual until proven or informed otherwise. I find it most helpful to assume that everyone is gay. This way I can more efficiently identify those who are heterosexual because they make no bones about letting it be known. Coming out is directed at the people already in your life who have assumed you to heterosexual. 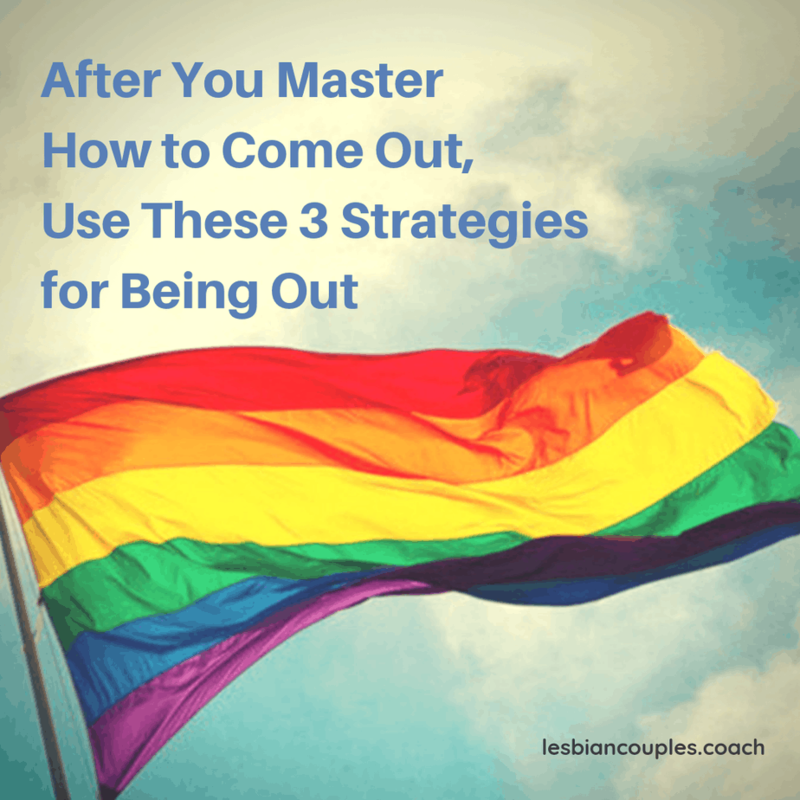 How to be out, on the other hand, is different than how to come out. Being out is the experience of living without censorship of, or hiding your sexual orientation from others. This happens after you’ve done the work of figuring out how to come out to all of your friends and family. Being out is more about stopping something (to stop censoring) than it is about sharing something (“I’m gay”). When you think about it, to proclaim, “I am gay,” is awkward for reason’s unrelated to your sexual orientation. When this statement is lobbed out into the air, it is difficult to know how to respond. It’s not a question, an instruction, a request or even a helpful tip. It’s random, possibly unsolicited, information. It’s sort of like saying, “I got my hair cut.” It’s as if you are inviting feedback, seeking commentary or soliciting an opinion by stating a fact. How is someone supposed to respond to these kinds of statements? “Uh, duh! ?” or, “Congratulations!? ?” or maybe, “That’s wonderful, how do you like it?” Or, “I thought so.” Awkward. 1. UNCENSORED SHARING. Talk openly about your life without censoring pronouns, partner relationships, and other orientation-revealing information. Just as heterosexuals do, share stories with your co-worker about your weekend. When you refer to your girlfriend or wife in ways that affirm her relationship to you, this is a natural function of being out. Discuss your everyday life as you ordinarily would. For example, “My girlfriend/wife and I went to a great show this weekend.” If someone is uncomfortable, they are not being invited to share their discomfort with you. You are not putting a statement out there for their commentary. PUBLIC SERVICE (COMMON SENSE) ANNOUNCEMENT: If you have concerns about your safety when being out — always choose safety first. 2. CORRECT MIS-ASSUMPTIONS. “No, actually I don’t have a boyfriend, I have a girlfriend/wife.” Again, this is a natural correction to a wrong assumption. It is no different than saying, “No, I am not married, my boyfriend and I haven’t tied the knot yet.” It’s a natural part of communication to correct someone who has made an erroneous assumption. 3. NON-VERBALS. There are many ways to communicate that you are a lesbian through non-verbals. You can place a picture on your desk of your wedding day. You can put a pride flag or HRC sticker on your car or somewhere in your office. You can wear gay-pride jewelry, apparel, and other accessories that tell a story without having to speak. Sometimes people do not want to hear what you are telling them. Early in my being out process, I was often experimenting with how to come out. One time that stands out is when I attempted to correct an assumption that I was heterosexual that was shockingly unsuccessful. This happened years ago when gay marriage was but a blip on the radar screen. I was working at a private psychiatric hospital, and it was the end of a very long workday. I walked my last client out to the lobby, and, as I turned back toward the receptionist to head back to my office, she informed me that I had a personal call waiting. She asked if I wanted the call transferred to my office, or if I wanted to take it there at the front desk. I opted to take the call right there in the lobby. After transferring the call, she picked up her Bible and started reading again — which is how she spent her time between calls. The call was brief. I talked about what time I’d be home, what I wanted to do for dinner, then I hung up the phone. To my surprise, she burst into laughter, only pausing long enough to respond with a playful response: “You’re so funny, you’re always joking!” We both smiled, and I headed back to my office. As I tried out various strategies for revealing the truth about my life and my relationships, I discovered that it was much easier (and often more fun) to stop working so hard to break things down for other people. Over time I just stopped censoring anything (within reason!) that I said about my relationship, my partner, and all of the usual social topics shared with friends, acquaintances, family, and even strangers. If I’m talking about my wife, I say, “my wife” and I use the pronoun “she.” There — I’m out. It’s that easy. If, for example, I need to hire a service person to fix my toilet, I will indicate that I may not be there, but I reference my wife, saying, “she will be when you arrive.” I don’t pause for permission or acceptance, and I don’t invite comments or feedback about my sexual orientation either. To do so would indicate that it matters to me what the plumber thinks about my relationship status. I don’t. And, that his the key, to genuinely realize that it is of no concern what the plumber thinks about your sexual orientation. He is there to fix a toilet, not to judge my relationship. I will not pretend I have a husband or that I am single so that the plumber feels more comfortable. Sadly, there was a time I would have, though. I vote we raise the bar. Instead of striving to come out, let’s be more specific about this — let’s set our sights on the never-ending process of being out.